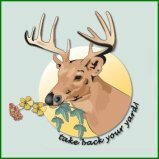 Enjoy your visit and please feel free to browse our site. At RAFFIANI’S we deliver the very best and most reliable lawn and garden sprinkler systems available in North Jersey. Since we believe that a customer's experience should be one-on-one and personal we ask that you please call us directly at the above phone numbers or fill out the convenient form on our Contact page. Please visit our Coupons page to view all of our current direct mail offers! Established in 1966, we are a family owned company. 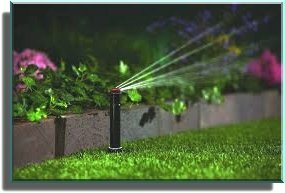 We install and repair Lawn Sprinklers, Landscape Lighting and Drainage Systems in Bergen County and most of Passaic County in northern New Jersey. As we begin our 54th year in business we continue to use only the very best equipment manufacturers such as RAINBIRD, TORO, HUNTER and IRRITROL. Our lawn and garden installation techniques leave your property clean and neat with minimal ground disturbance. Our company focus will always be on Lawn Sprinkler Water Saving efficiency. Towards this end we continuously embrace new technology for the benefit of our customers during all new lawn sprinkler installations, sprinkler repairs to existing systems and all system upgrades. In order for us to use a new product in the installation or repair of your lawn sprinkler system, it must have at least three years of verified field testing.